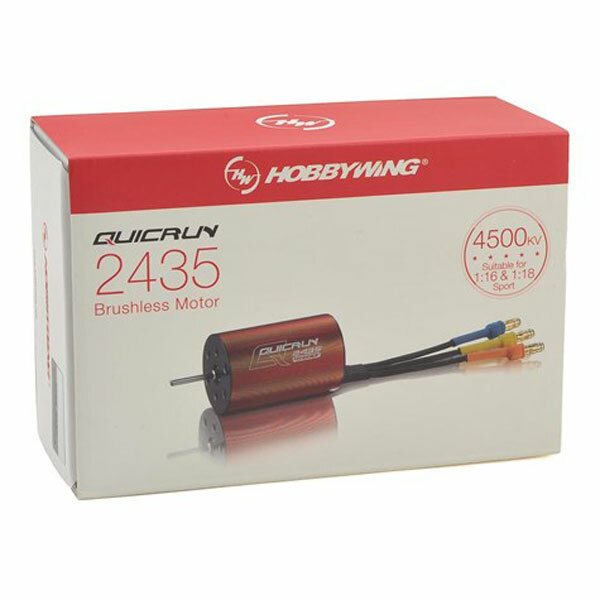 This is the Hobbywing QuicRun 4500kV 2435SL 1/18 2030 Brushless Motor. 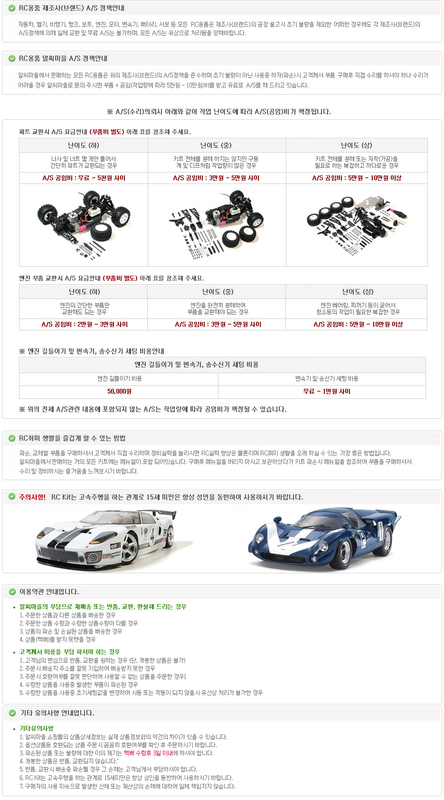 Its 2-pole rotor creates great torque: The QUICRUN-2435 brushless sensorless motor suits various 1/16 & 1/18 vehicles, especially buggies and monster trucks. Composed of high quality components: high tech aluminum alloy motor shell, heat-resistant wires and magnets, and long-life bearings. 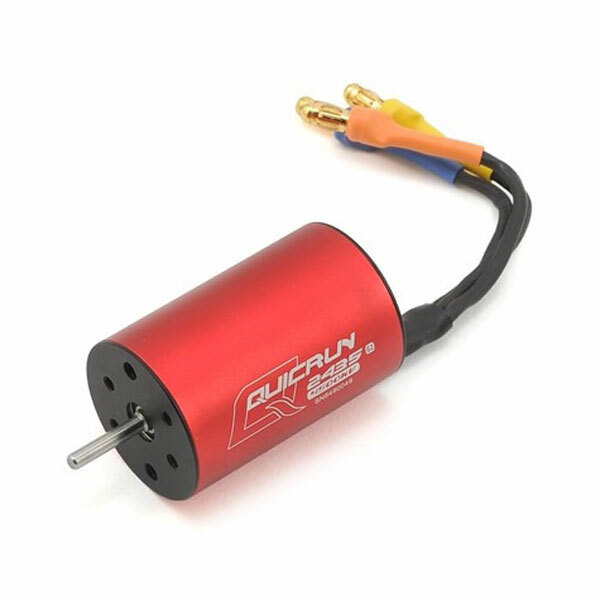 High quality pre-soldered gold plated connectors: The QUICRUN-2435 motor is a plug-and-play masterpiece. Two types of screws are suitable for the installation of QUICRUN-2435 motor: M2.6 (diameter=2.6) and M3 (diameter=3.0). b) Depth of screw holes: QUICRUN-2435=4mm.